Welcome to Lock Family Eye Care, where our Des Moines optometrists provide comprehensive, family-friendly eye care. If you are new to our practice, we invite you to learn more about our eye care services and how we can help you. 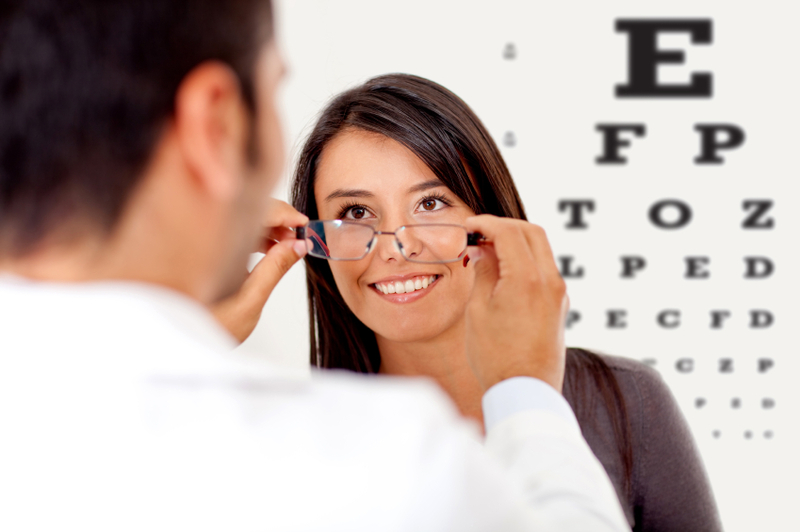 Read on to find out about our comprehensive vision and optometry services. Comprehensive eye exam - In our eye exams we take the time to check your vision, so we can correct it with glasses or contacts. We also check your eyes for any signs of diseases that could impact your vision. While changes to your vision are normal as you age, leave it to us to make sure you are not at risk of glaucoma, macular degeneration, or other eye conditions. If we do find something that needs help, we will treat it. Children's eye exams - Children need proper vision so they can develop and learn properly. Yet, they may not be able to vocalize if their vision is off. We can check your child's eyes at every stage of development, offer glasses if they are needed, and treat pediatric eye conditions such as lazy eye. Contact lens exam - If you are thinking of contact lenses, we can perform a contact lens exam. We'll make sure you are a suitable fit for contact lenses, walk you through your options, and fit you for contact lenses. Optomap - We are pleased to offer retinal imaging with optomap. No longer do we have to dilate your eyes to check your retinal health, we can use the optomap retinal imaging tool to check your full retina. This allows us to tell whether you have eye diseases as well as health conditions including high blood pressure and diabetes. This is just one example of how our West Des Moines optometrist keeps up with the latest technologies. Computer vision syndrome - If you work at the computer all day long, or spend the day staring at your smartphone, you could develop vision strain due to all the long hours of staring at a screen. Let us diagnose and treat computer vision syndrome. We use a combination of ergonomic tips and education, so you know good habits, and eye protection with special glasses that block glare. Treatment of eye diseases - With eye diseases, early detection can help us treat problems quickly. Look to us for treatment that can slow the progression of eye diseases like glaucoma. We can also quickly treat routine eye conditions, like eye infection or dry eyes. Enjoy fast, accurate treatment when you visit us. Contact Our West Des Moines and Waukee Optometrist Today!